Sporty utility and modern comfort go hand-in-hand in the 2019 Jeep Cherokee and Honda CR-V. But which is more adventure-ready? Which has enough leg room for your growing family? Our comparison guide has the details. If you prioritize commute-friendly fuel economy in your crossover above all else, seriously consider the CR-V over the Cherokee. 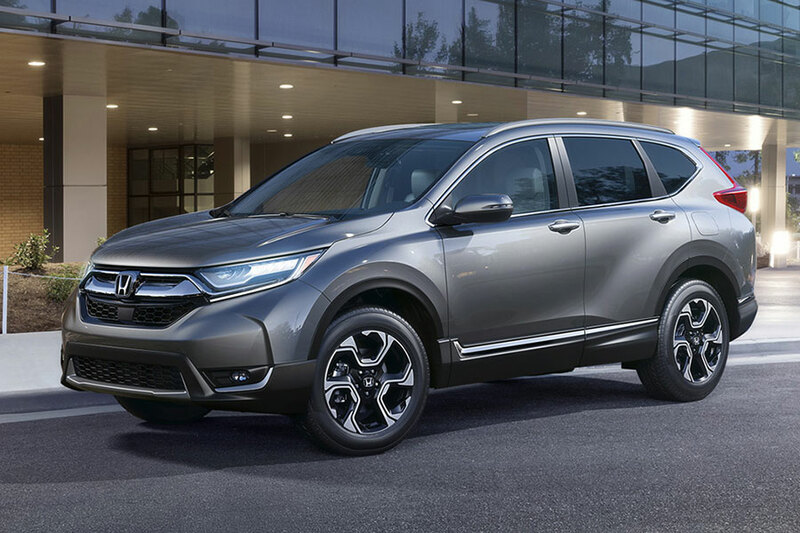 The 2019 Honda CR-V is EPA-rated for up to 28 city/34 highway mpg. 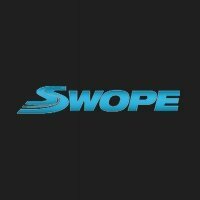 Max fuel ratings for the 2019 Cherokee come in at 23/31 mpg. For commuters with an especially long trip to work, every mile per gallon counts. However, we do think most drivers can balance the Cherokee’s fuel economy with their monthly budget. In the small crossover SUV segment, there’s no model more capable than the Cherokee. With all-wheel drive, this Jeep can tackle your favorite trail, no problem. 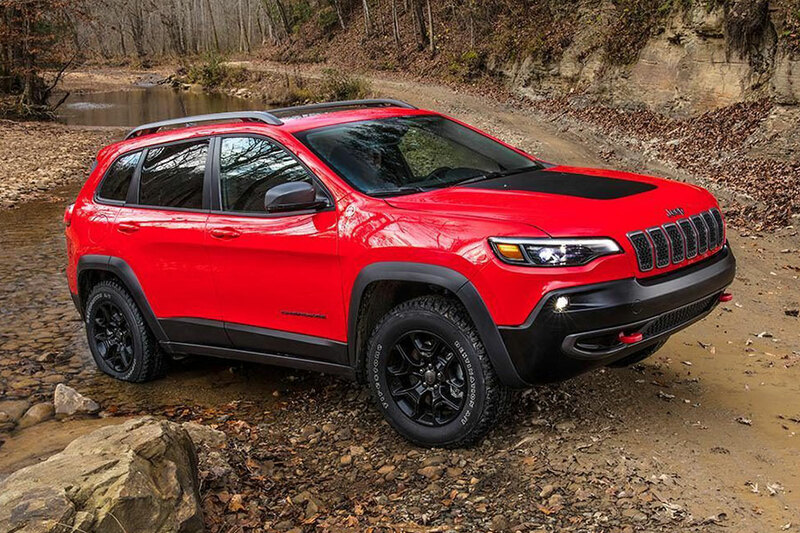 If you’re looking for an especially rugged performance, check out the Cherokee Trailhawk trim. It comes off the assembly line with everything you need to scale mountains and handle riverbanks, including all-terrain tires and a locking rear differential. Back on the Honda CR-V, shoppers can in fact add all-wheel drive. This performance technology makes for a safer, sportier ride back on the pavement. It’ll even take you down light trails. However, the CR-V isn’t really recommended for truly rugged off-road adventures. If you’ve got big toys to tow, you need the Cherokee. The 2019 Honda HR-V isn’t recommended for towing at all, so it automatically has to sit this one out. But, properly equipped, the 2019 Cherokee can tow a trailer weighing up to 4,500 pounds. That’s equal to a seriously big boat or even a horse trailer. First, let’s talk about what these crossovers have in common. There’s no doubt that both are comfortable, with generous head and leg room for a cabin full of passengers. Both the Cherokee and the CR-V smooth over the bumps in the road to create plenty of ride comfort. 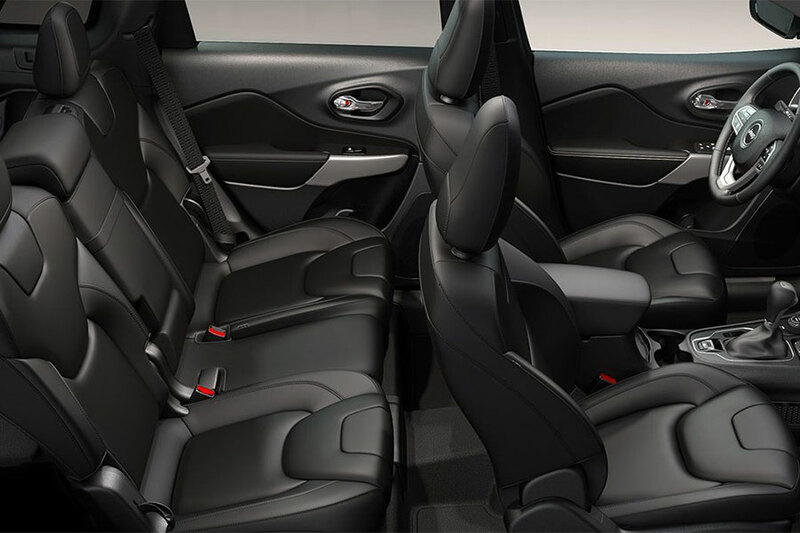 Higher trim levels douse you in luxury features, including leather upholstery and seat heaters. Where the 2019 Jeep Cherokee really has the edge is in infotainment. Apple CarPlay and Android Auto smartphone integration is standard equipment, which means hands-free access for smartphone addicts. (To get the same equipment on the CR-V, shoppers must pay extra for the mid-grade trim model.) The Cherokee’s Uconnect infotainment system is another high point. It’s super responsive; there’s no need to jab at it to get it to do what you want. Honda’s system isn’t quite as intuitive, making it sometimes frustrating to use. Rugged and capable outside and plush and family-friendly on the inside, there’s no doubt that the 2019 Jeep Cherokee is the best small crossover SUV for your next adventure. When you test-drive yours, we think you’ll see exactly what we mean.